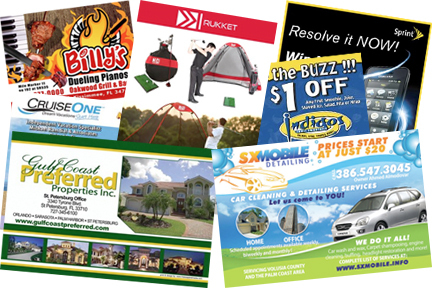 Full Color Flyers are a fast, cost-effective, colorful way to market your business or event. Five Star Graphics and Printing specializes in flyer design and printing services for anyone who would like to advertise in a creative and eye-catching way . We are committed to offering dependable, high quality flyer printing at affordable low prices on different sized full color flyers. We use the latest available printing technology and presses to deliver cutting edge flyers. Printed on cardstock with an option of FREE UV High Gloss Coating. Aqueous coating sometimes takes 2 days longer. You don't need 5,000 flyers printed? You don't need 1,000 flyers printed? We also offer small print runs starting at 50 pieces. We also offer text weight flyers. Double-sided (Full color both sides). FAST same day/next day turnaround. Order as little as 50 copies.